First of all, let's begin with a video Pacific Ropes has spent some time lamenting over. 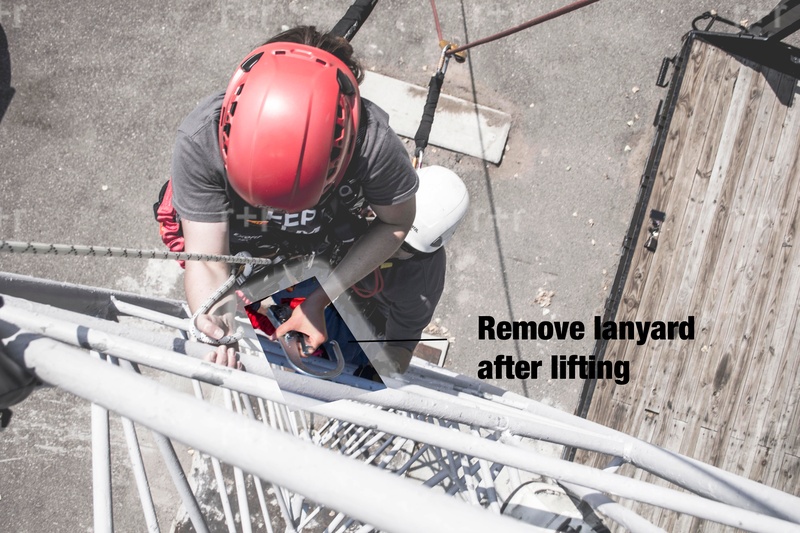 What you see is how, when you cut a lanyard in a rescue, it can very quickly escalate from bad to worse in mere seconds, and perhaps even, what the impact of peer pressure can have in a high stress rescue situation. What you don't see, is how this video may have ended-- in some cases, this scenario does end in the loss of life. Please take the time to watch and learn from this video, "COME ON GOOB!" In light of a situation like this, which we know still does occur, we once again had the pleasure of working with our friends at Rope and Rescue www.ropeandrescue.com to have our Founder and Contracting Director, Tim Zagiel, and R + R's VP, Jacob Wallace, weigh in on the failures of cutting a lanyard in a rescue and discuss just what a pick-off rescue is in general. For starters, let’s refresh on what a pick off rescue is. There are several main types of rescues (learn about them in this killer post). A pick off rescue is one of the most robust. Pick off rescues allow you to get up close and help out your injured co-worker. Would you prefer to be lowered from a remote location with no assistance negotiating obstructions on the way down? (“Ouch, ooch, poke, it feels like bleeding…”)? Or would you prefer to have someone help keep your body away from all those pointy… pointies. In some industries the standard practice is to cut the patient’s lanyard once you’ve connected to them. By pulling as much slack out of the connection as possible, the shock to the patient from cutting the lanyard is usually quite small. At first glance this seems to be a pretty desirable solution. It is simple, fast, and requires a minimum of training. 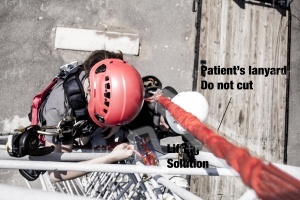 No need to rig up a lifting solution to raise the patient. That’s a good thing, right? Well, for all of the benefits, cutting the patient’s lanyard has some significant problems. Where do we start? A great example of what not to do when rescuing a co-worker is good ol' Goob. With working at height we learn all about fall factors and shock loading. These are basic principles taught in fall protection, rope access, and rope rescue. What happens when you shock load your harness with the weight of another person? Shock loading your system may have been the only answer back when we climbed dinosaurs to get fruit off of trees (wasn’t that a thing? ), but in today's age we are lucky to have many options to prevent the cut, therefor preventing the dynamic loading. 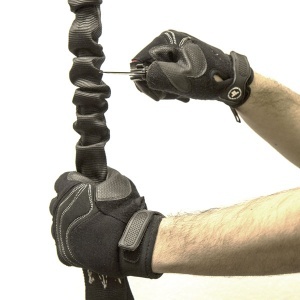 From the Rope Access and Rope Rescue world, cutting the lanyard is a desperate final attempt when all else fails. Fall Protection professionals teach a raise, disconnect, and lower technique to avoid any cutting and dynamic loading. If you get to this point during rescue training, you would most likely be excommunicated from the rope access or rescue team, and move on to teaching teens at a climbing gym. (We may have added a little drama to over emphasize the point). Save the knife for your arts and crafts, don’t bring it out in your rescue kit. When thinking about your rescue plan: remember the Goob. Rescue doesn’t mean you have to take a fire/rescue course. Surprise! But it does mean you should risk assess the work location and provide adequate safe resources for the task. Training in rescue at height is something we highly recommend as a training facility, however. Knowing how to respond and react under a high degree of stress is a skill that is better practiced with a foundation of knowledge. If you have any questions about the Goob video or what has been written here, don't be afraid to give us a call. Pushing to innovate rescue practices and techniques is something all rescue and at-height workers should be making a top priority. However, making sure you are up on the latest in rope rescue techniques is first and foremost your responsibility but also the responsibility of the company you work for (we hope!). As we posted earlier this week, according to WorkSafe BC, "Asking is your responsibility" but we would also confer that it is your right. This video is a good reminder that best practice training in rescue should be available to you and your team- no paycheck is worth the risk of your life. From everyone at Rope and Rescue, Colorado, and from your team here in beautiful Vancouver, BC, STAY SAFE and we'll see you on the ropes! 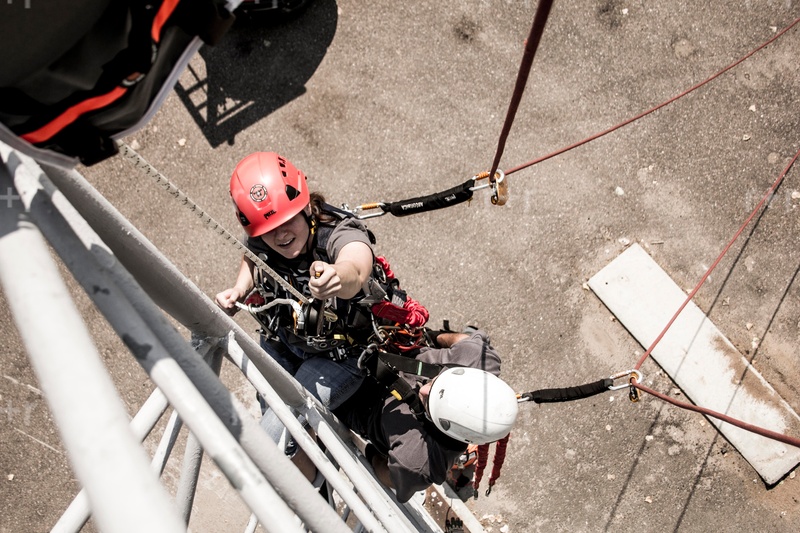 Interested in reading our other Rope and Rescue Collaborations? Click right there. If you want to keep up with Pacific Ropes and all things Rope Access, please sign up to follow our newsletter!